If you are suffering from respiratory problems, there is a simple and effective way of getting relief from the problem. Salt Therapy is not a new, modern age discovery. It has been around for years but its popularity has been spreading across the globe in recent years because patients suffering from respiratory disorders are discovering the amazing benefits of this simple, hassle-free, non-invasive therapy that produces real results. Salt Therapy can improve your breathing and clear the upper respiratory system to help you breathe easy. It is also proven effective in treatment of conditions such as asthma, COPD and shortness of breath. 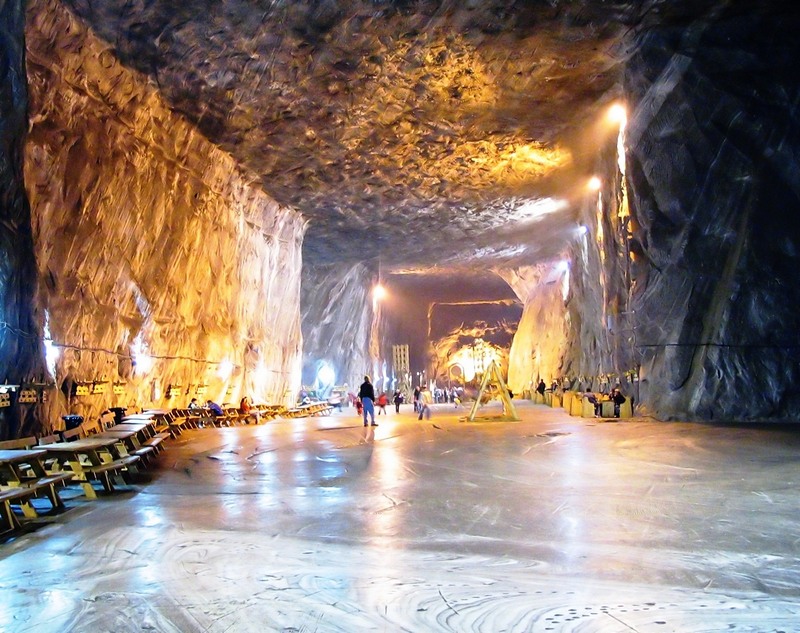 In the medieval times, patients were taken deep inside salt caves by monks to provide them relief from asthma and other breathing problems. You won’t have to spend time, money and energy hunting for a salt cave in today’s hi-tech age because innovative doctors and therapists have developed a simple, user-friendly device that can deliver the same benefits in a very convenient manner. Ultrasonic particle dispenser is a revolutionary device, designed to convert saline solution that consists of plain water and salt, into microscopic salt particles. These salt particles travel into the deeper areas of the lungs and kill harmful bacteria. It also clear the mucus which often obstructs the airway passages making breathing difficult and leading to respiratory issues. Salt Therapy is an effective way of reducing inflammation. Salt particles have anti inflammatory properties and also humidify the respiratory tract. As it helps improve the intake of oxygen into the blood stream, you can feel a sense of well-being. Another important advantage of using ultrasonic salt particle dispenser is that it can clean the air within a room by removing harmful bacteria and dust particles. It is designed for convenience of use and can be placed on any flat surface near you. Regular use for approximately seven to eight hours daily can provide immense and long term relief from respiratory problems. It can also be used as a preventive tool. Use it proactively to prevent asthma attacks or respiratory infections. It is safe for use for everyone including expecting mothers and small kids and does not interfere with any medications that you might be using. Asthma is a chronic illness that takes place within the airways of the lungs and bronchial tubes. Family history of allergies and asthma can be a risk factor for asthma. Asthma involves the inflammation of the airways which causes narrowing of airways and increased production of mucous. These impede breathing and may cause coughing, wheezing, chest pain or tightness and shortness of breath. Such narrowing normally takes place with the presence of some triggers. Triggers effects cause obstructions within the airways, which doesn’t allow for easy flow of air in and out of the lungs. This then causes much wheezing and coughing and may cause an asthma attack. It is recommended to know your triggers and learn how to avoid them. When you cannot avoid the triggers watch out for an attack. An asthma attack is the sudden onset and worsening of symptoms, as the smooth muscles within the airways constrict and tighten more than is normal. Severe wheezing, rapid breathing, feelings of anxiety, blue lips/nails and difficulty in talking are all symptoms of an asthma attack. As there is no definite cure for asthma, the classical medical treatment is symptomatic in nature, usually anti-inflammatory medication. The goal is to control the disease through daily anti-inflammatory medication and rescue inhalers. Though most sufferers always have their rescue inhalers on hand to prevent an attack, it is wise to work long-term towards preventing an asthma attack through natural treatment options. Breathing exercises are an excellent way to combat asthmatic symptoms, as is the use of salt therapy; both are natural and very effective. They ca also be used together to potentize the effects. Even though prescription medications will bring immediate relief, salt therapy, due to its healing nature, brings a much more long-term effect by tackling the underlying issues that lead to asthmatic triggers and attacks. The SaltAir device has been developed for home use in order to assist breathing sufferers with a more natural treatment, without side effects, easy to use and effective. The 7-8 hours nightly sessions, during the night sleep, will allow airways to clear, reduce inflammation and most symptoms to be kept at bay. 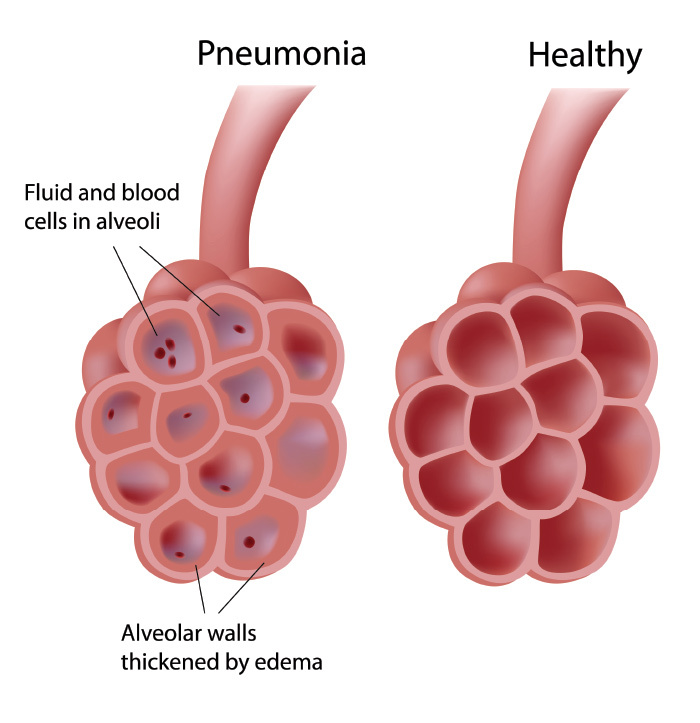 The basic medical breakdown concerning pneumonia is a viral or bacterial infection within the lungs. 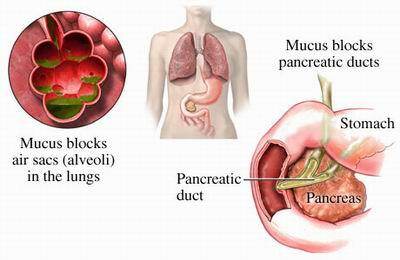 This infection in turn affects the alveoli, which are the air sacs in the lungs, by filling it up with sticky mucous. As the sacs are over-run with mucous, breathing becomes really difficult, where other symptoms such as fever, coughing, shortness of breath as well as fatigue and lethargy may set in. There are various types of viruses and bacteria that cause pneumonia, though leading a healthy active lifestyle coupled with good hygiene may aid in preventing it from setting in. Smoking is a huge abettor when it comes to weakening the resistance of the lungs which increases the risk of an infection. Most cases that are not as severe are normally treated with anti-biotics and lots of rest, though critical infections will require a hospital stay and treatment. At the end of the day anti-biotics are not good for the body and the immune system, as such, if the symptoms are not severe, then there are options of natural treatment of pneumonia on hand. One of the best naturally and holistically means of treating pneumonia symptoms is utilising salt therapy. This type of therapy is completely safe, non-invasive as well as free of side-effects, which will support healing and lessen symptoms overall. Utilising a device such as the SaltAir – Home Salt Therapy device will expose you respiratory system to small particles of salt which are inhaled into the lungs. As the salt acts as an anti-inflammatory agent with anti-bacterial properties as well, it aids in easing congestion and inflammation within the airways of the lungs. As the salt particles move through the respiratory system, it causes for moisture to be attracted into the airways which allow for the congestion to clear up as the mucous is broken down. Salt therapy increases your body’s ability to drive out the mucous which allows for easier breathing. Such treatment may even be a complimentary treatment option even when pneumonia symptoms may be severe, as it contains absolutely no side effects and may be utilised with medications and anti-biotics. It will help to heal and recover much better and quicker. When trying to keep your body healthy and recovering from an illness, always try to heal as naturally as possible. The less foreign bodies and medications we allow to enter into our systems, the stronger we will actually be. This type of illness causes much swelling and inflammation within the bronchi, where the inflammation may be either acute or chronic. With chronic bronchitis, sufferers normally have a daily cough with production of mucus, where the swelling of the airway lining causes obstructions as well as narrowing within the airways. The inflammation produces a large amount of mucus, which causes even more obstruction within the airways, whereby a bacterial infection may eventually set in. Most chronic cases increase the chances of bacterial infections within the lungs. 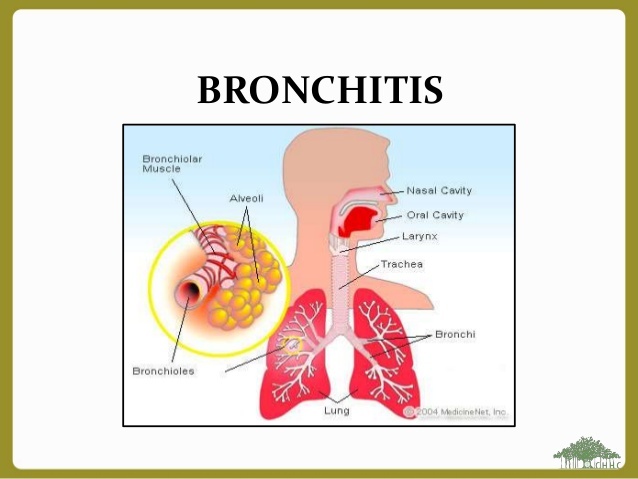 Acute bronchitis, on the other hand, is normally a viral infection but may at times be bacterial, though it heals well without many complications. There are many pharmacologic treatments available for both chronic and acute bronchities, though as with any man-made substances, it leads to other complications and side-effects such as allergies and even autoimmune issues. 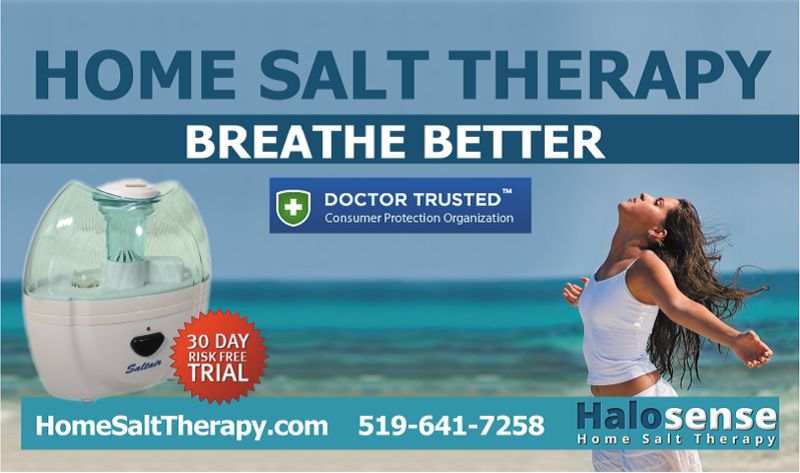 Much scientific evidence has been put into the development of the Saltair home therapy device, which indicates that salt therapy eases many of the symptoms experienced from those suffering from bronchitis. Bronchitis relief is at hand when utilising the Saltair device, which may be used as a complimentary or an alternative treatment option within the comfort of your own home. With salt therapy you can be assured there are no side effects, non-invasive and effective long-term or preventative treatment. Looking after your health, will lead to a better you in all aspects! Hello everyone. Today I am going to answer the question that a lot of you have been asking: what is chronic cough? For starters, this is not just a bad cough but one that is going to leave you feeling physically drained. The most severe cases lead to lightheadedness, vomiting and can even fracture your ribs. 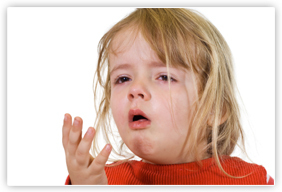 If you have been wheezing or coughing for 8 weeks or more, you most likely have chronic cough. There are many possible reasons that may cause it such as asthma, postnasal drip, tobacco or acid reflux. Coughing on occasion is not bad as it removes secretions and foreign substances in your lungs. But if the coughing goes on for weeks it is usually due to another problem. One of the most common causes is postnasal drip. If your nose produces too much mucus, it ends up in the back of your throat, causing you to cough. It could also be due to allergic asthma. If that is the case, coughing will be influenced by seasons. It could also get worse if you have an upper respiratory infection or breathe chemicals, fragrances or cold air. Aside from frequent coughing, other symptoms include a stuffy or runny nose, feeling there is something in the airways and frequent clearing of the throat. Other symptoms are shortness of breath, heartburn and in some cases, coughing with blood, depending on the cause. Whatever the cause, frequent coughing is tiring and could lead to headaches, urinary incontinence, dizziness, excess sweating and fatigue due to low oxygen level into the bloodstream. The most common treatments are decongestants and antihistamines, but they are nowhere near as effective as you would think and they have side effects that could make things worse. This applies to those acid blockers and antibiotics as well, and it is not wise to rely on these. A better, healthier chronic cough treatment is Saltair Home Salt Therapy. Saltair is a device that converts saline solution into microscopic salt particles that are released into the indoor air. These breathable salt particles permeate the whole respiratory system, clearing the mucus, reducing inflammation and making it easier for you to breathe. The salt particles penetrate deep into the lungs, to the alveoli, where the oxygen intake takes place. Here they will clear the mucus and increase the oxygen intake into the bloodstream, helping the whole body function better. The salt particles also help in cleaning the indoor air from odors, pollen, fungi, bacteria and viruses. The ancient Europeans used to treat respiratory infections and coughing by visiting salt caves and breathing the salty air. Now, with the revolutionary portable Saltair device, you can have the same results in the comfort of your home or anywhere you might want to take it. Wheezing is a high-pitched whistling like sound made while breathing. Usually wheezing occurs during expiration (breathing out), but it can appear at inspiration (breathing in) as well. Wheezing is a result of narrowing of the airways usually due to inflammation or by a physical obstruction. Wheezing is typically accompanied by difficulty breathing or shortness of breath. 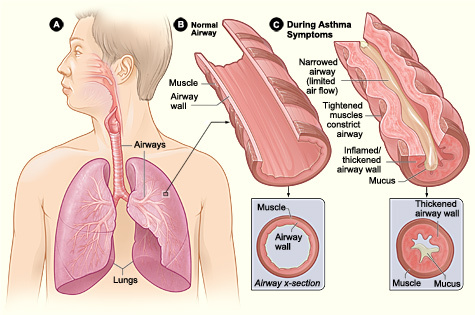 The narrowing of the airways can be caused by inflammation from asthma, a respiratory infection or an allergic reaction. 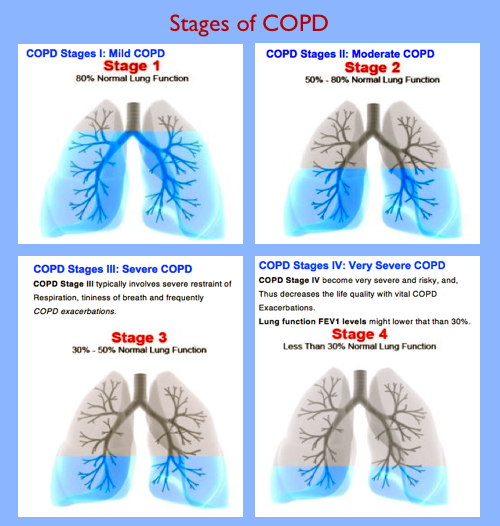 A physical obstruction can be from a tumor or a foreign object present in the airways.